I’m so excited to share that our group trail runs are BACK! I tore my ACL on one of these trail runs back on Christmas Eve – and thank goodness I was with a great group of friends! But sadly, the group sorta dwindled without my participation (read: jumping up and down and waving all over Facebook). So now it’s five months later and time to get things moving again! 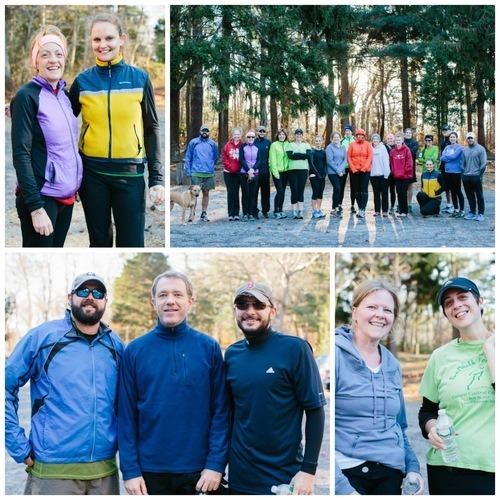 We’re planning to meet every Saturday at 8:30am, at Long Pond in Falmouth, MA! Starting this weekend, June 7th! Every level is welcome, and anyone who’s just visiting the Cape on vacation too! This is about a 3.5 mile loop, so you can take it at any pace. We also love to tailgate a bit after with some morning beverages and snacks! Join the Cape Trail Runners Facebook page to follow along with more updates!